PRODUCT: 12 Lb. 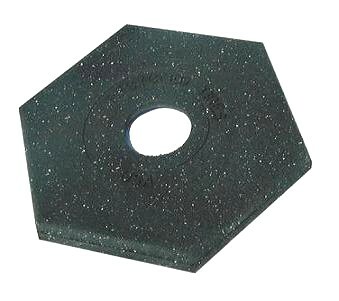 Hexagonal Safety Stand Base / Weight. Fits 4" Diameter Safety Stand (delineator) Posts. Call for special freight rates on large orders. 1-1/4" Thick and 17-1/2" Across. Can be easily stacked with other weights to increase base weight. Can be combined with 18 Lb. weight to make 30 Lb. OSHA base.